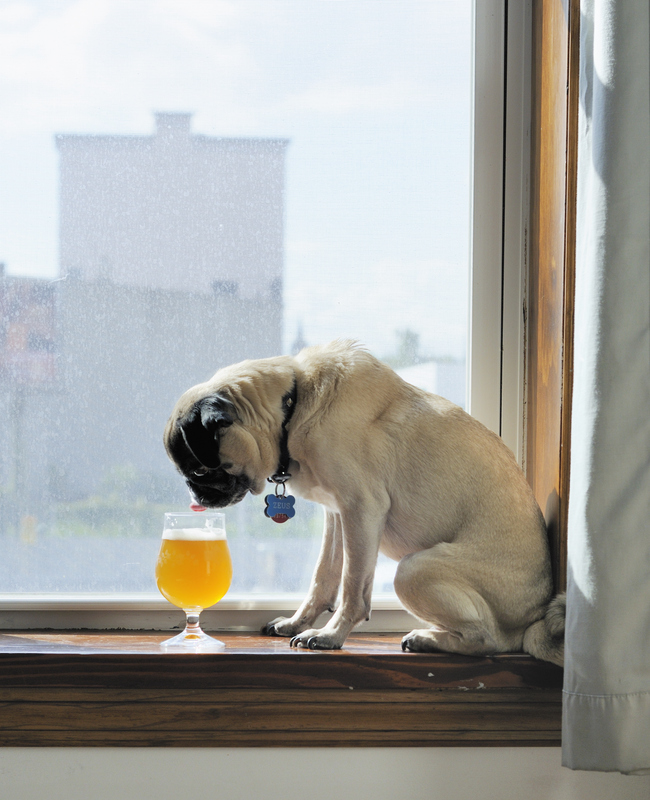 The original brewdog Zeus pondering the sessionabilty of my beer. There is a lot of debate in the beer world about what exactly defines a true session beer. Alcohol levels typically weigh heavily in the debate. Alcohol is a quantifiable variable with very specific implications, especially as it relates to the length of a drinking session. The specifics off what ABV is truly considered ‘sessionable’ makes for a fun debate, but is one that I’ll defer to the experts. For the Brits, frequent pub visits are an important part of daily life and culture. Taking queue from the ordinary bitters that frequently flow in pubs across the Isles, I’d suggest that a true session beer should be kept somewhere in the range of 3.0-3.5% ABV. Whether these levels were consciously set, or simply a by-product of the taxes imposed upon beer, the effect is clear. This level of alcohol strikes a good balance between the pleasant alcohol induced euphoria beer can produce (AKA a buzz) and running the risk of prematurely ending a drinking session in a drunken stupor. Until a couple of years ago, it was difficult to find a beer this low in alcohol at American brewpubs. Luckily, a trend towards more moderate alcohol levels has taken root, and homebrewers are able to find numerous wonderful examples of commercial session beers. Aside from alcohol content, there are other very important factors which improve a beer’s sessionability. To me, session beers should be relatively dry in order to prevent too much fullness. 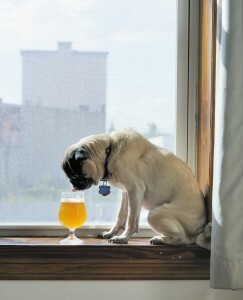 That said, low-gravity beers can easily become watery or tea-like if the gravity drops too low. There is a hugely important distinction that must be understood when formulating a session beer, and that is the difference between sweetness and body. A beer can be round with a medium body and moderate amount of residual gravity without tasting sweet. The key is making sure that all fermentable sugars have been consumed by the yeast and that the gravity that remains are dextrins which provide ample body without perceivable sweetness. Balance is the key. Another important factor in sessionablity is flavor and complexity. Session beers should be complex enough to remain interesting, while not overburdening your palate. The Brits do this well with the bready malt components and nuanced yeast character found in their bitters. Personally for me, the same end result can be accomplished using hops. There is something amazing about drinking a beer with the balance and hop intensity of some of the bigger more intense American Pale ales while doing so at a more moderate ABV. Soft NYC municipal water with 2g Gypsum and 4g Calcium Chloride added to the mash. While not as much melon as I had anticipated given the hop’s name, there is a nice round fruity hoppy character on the nose. The fruitiness is somewhat non-descript, although it is definitely not the typical citrus found in American hops. If I really search, I can convince myself there is some honeydew-like melon aromas, but it is a stretch. The hops have a touch of grassiness which isn’t offensive. The malt is really nice. It is soft with a hint of sweetness complemented by biscuit and sourdough bread. The beer is a rich golden color bordering on copper with a touch of haze. The glass is capped with a white, fluffy, persistent head. The hops are much more subdued in the flavor than the aroma. The malt is wonderful. Lots of toast and biscuit. The bitterness is firm and balancing, while being quite clean. The beer goes through a great procession on the palate with malt up front, then some juicy hops, and ending with a toasty malt finish. Beer is medium to medium-low bodied. The mouthfeel exceeds what I would have expected given the low starting gravity. Soft carbonation enhances this impression. No perceptible alcohol heat. This is a really crushable session beer that exceeds my expectations. The new German hop variety used is pretty tame, and much more nuanced than other varieties being grown in the New World. All in all, the beer hits all the right chords in terms of what I search for in a session beer. Wonderful beer. This entry was posted in Homebrew Recipes, Homebrew Tasting, Homebrewing and tagged ale, american beer, american pale ale, beer, homebrew, homebrewing, recipe, review, session beer by Nick Ladd. Bookmark the permalink. Did you really mash at 159 F? Was this to create the body you were talking about without the residual sweetness? You are correct. The high mash temp was used to create a dextrin-rich wort. Long chain dextrins are not sweet, but are responsible for giving a low OG beer like this the body required to not feel thin or watery. It works quite well to balance out the high hopping.